Everywhere in Europe, under the assault of redevelopment policies, the city becomes showcase, becomes bourgeois, aligns. The price of this transformation is the expulsion of the lower-income classes, which is pushed farther away from city centres. 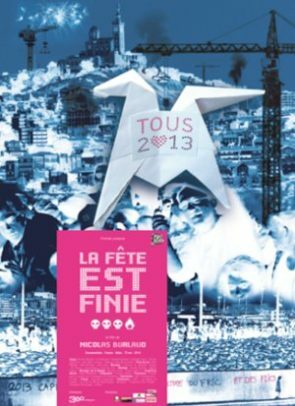 Marseille’s nomination to “European Capital of Culture” 2013 led to a spectaular boost of this evolution. Wherever the brutal clearing out and the bulldozers had to face resistance, the party, covered with the untouchable “Culture” aura, amazed us. We had no choice but to participate or to stay in silence.